Huge New Zealand mussels baked to perfection. 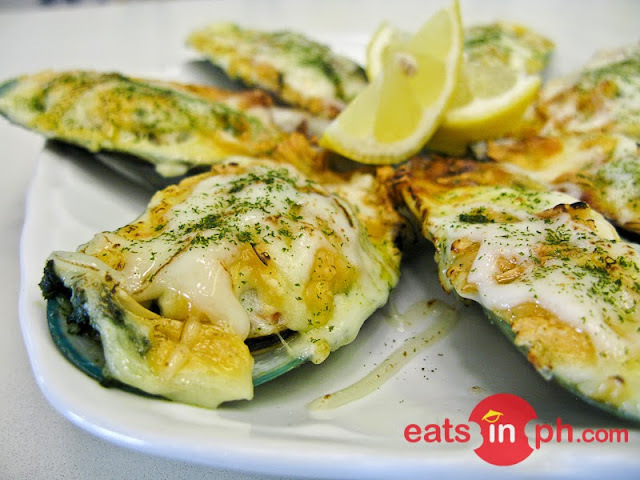 SAB Bistro's baked mussels has lots of cheese on top with just the right herbs and spices. Tasty and very flavorful. The herbs and spices create a burning feeling in your mouth.